ArcGIS for INSPIRE는 데이터, 서비스, 메타데이터를 지원하는 INSPIRE 준수를 보장하기 위해 강력하고 현대적인 웹 GIS 솔루션을 제공합니다. ArcGIS for INSPIRE은 복잡한 데이터 이송 없이 INSPIRE Discovery, View, Download 서비스를 제공하기 위한 현행 요구사항을 충족시키기 위해 ArcGIS을 확장합니다. INSPIRE 지리공간 데이터와 메타데이터를 생성 및 유지하기 위한 ArcGIS for Desktop 익스텐션. INSPIRE View 및 Download 서비스를 제공하기 위한 ArcGIS for Server 익스텐션. 지리공간정보를 기존 데이터베이스에서 INSPIRE 지오데이터베이스로 추출, 변환, 적재(ETL)하기 위한 INSPIRE-준수 지오데이터베이스 템플릿. INSPIRE 메타데이터를 색인하고 INSPIRE Discovery 서비스를 제공하기 위한 오픈 소스 Esri Geoportal Server 및 애드온. ArcGIS for INSPIRE는 요구사항과 당면한 기한을 충족시킴으로써 INSPIRE을 이행하는 방법을 제공합니다. INSPIRE 데이터 모델 규격에 따라 데이터를 맞출 준비가 되어 있든 아니면, INSPIRE 서비스를 통해 그대로 전달하든 ArcGIS for INSPIRE는 여러분의 요구를 충족시켜드릴 수 있습니다. 한국에스리 홈페이지 내 모든 콘텐츠(사진, 이미지, 게시글 포함)에 대한 무단 복제 및 개작, 변형, 배포 행위는 원칙적으로 금지되며, 영리 목적으로 이용할 수 없습니다. 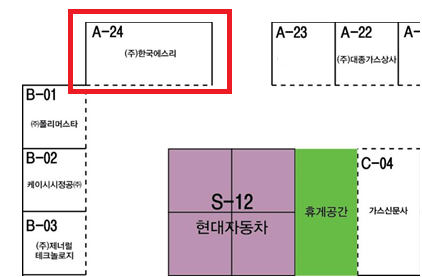 한국에스리 콘텐츠를 사용하고자 하시는 경우 mkt@esrikr.com으로 연락 부탁 드립니다. 작성 후 “enter” 버튼을 클릭하여 검색결과를 확인하세요. American Electric Power (AEP) is uniquely positioned to support business expansion and community development in its service territory which spans 200,000 square miles and provides electricity to parts of 11 US states. The company’s economic development team works with local communities and state agencies to promote economic growth. AEP recently redesigned its economic development website, aeped.com, which provides analysis on business feasibility to site selectors and companies looking to expand in the utility’s service territory. They used ArcGIS Desktop to create thematic and analytical maps that display a wide range of data. They used the Business Analyst web app to construct drive-time polygons for potential development sites, and to report business and demographic data. The company's economic development team works closely with local communities and state agencies to promote economic growth. In 2015, the team generated 170 business attraction and retention projects that created 22,500 jobs throughout its service territory. 2015 년 12 월 26 일에 9 개의 토네이도가 텍사스 북부 지방을 강타하여 최소 1,000 채의 집과 건물이 손상되었으며 11 명의 목숨을 앗아갔습니다. 콜린 카운티(Collin County)의 GIS 부서는 텍사스 긴급 대응 팀 (Texas Emergency Response Team)이 주도하는 복구 노력을 돕기 위해 데이터 수집과 지도 작성 작업에 나섰습니다. ArcGIS Online을 통해 현장에서 수집 된 모든 데이터와 토네이도 등급 및 경로에 대한 정보에 액세스했습니다. 콜린 카운티의 GIS 관리자 Tim Nolan과 그의 팀은 ArcGIS Pro를 사용하여 복구 노력을 시민들에게 설명하고 GIS의 능력을 보여주는 지도를 제작했습니다. Time Nolan은 "관리자로서 나는 매일 GIS를 사용하지 않지만 ArcGIS Pro는 매우 직관적입니다. "라며 "ArcGIS Pro 덕분에 원하는 맵을 바로 구상하고, 원하는 결과를 확인할 수 있었습니다. "라고 말했습니다. 콜린 카운티의 토네이도 지도(링크 클릭)는 콜린 카운티 국토 안보부, 콜린 카운티 소방서 사무소, 콜린 카운티 보안관 사무실, 콜린 카운티 중부 감정 지구, 텍사스 A & M 산림청, 텍사스 DPS 텍사스 비상 관리국, 기상청, 콜린 카운티 공공 미국 적십자사 (American Red Cross) 및 남 침례회 재해 구호 (South Baptist Disaster Relief)를 포함한 재난 복구를 돕기 위해 여러 비영리 단체 및 사업부에서 사용되었습니다. Norwegian industrial group Lyse Energi operates hydropower and power distribution, district heating, gas distribution, and fiber to the home with Internet and TV services. The company requires secure location awareness for efficient asset management of its networks. Lyse Energi uses a map portal made possible by ArcGIS Enterprise to provide field crews with up-to-date network maps via a mobile app. Information shared via maps includes utility networks, planned projects, ongoing digging, work orders, customers, and land usage. The map portal is used by more than half of Lyse Energi’s 1,000 employees. And, more than 100 technicians use the app on a daily basis. Field crews report a daily time saving of up to 30 minutes with the solution due to reduced time spent retrieving information. 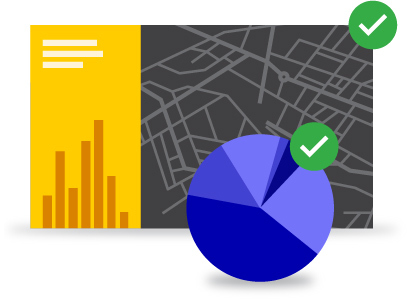 Faster access to maps also results in less time troubleshooting and improves delivery of power, Internet, and TV. Chick-fil-A, the largest quick-service chicken restaurant chain in the United States, has more than 1,800 locations in 44 states and $5 billion in annual sales. 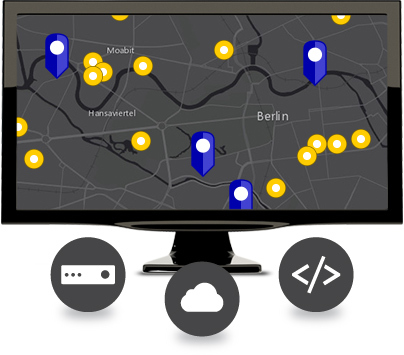 The company implemented ArcGIS on its own infrastructure to maintain its stringent security requirements and keep tight control over business data and applications. This deployment gives Chick-fil-A the flexibility and capabilities of an enterprise GIS cloud solution while maintaining governance over servers, networks, and databases. 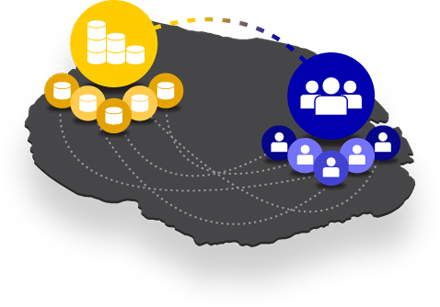 The use of ArcGIS Enterprise with portal allows staff to discover, use, and share GIS assets internally. ArcGIS ensures Chick-fil-A can get the right information to the right people across the organization. For example, Chick-fil-A real estate analysts use ArcGIS to access internal data such as new store locations, sales, and customer survey information. They enhance that data with demographic and psychographic datasets from Esri and other sources. "We need information, including maps and spatial analytics, to be easily accessed and easy to use," said Chan Lee, senior GIS analyst, Chick-fil-A. "It also needs to provide us with the confidence to make serious, often very expensive decisions. We need a solution that works with web applications as well as on mobile devices in as real time as possible." 금주 21일부터 23일까지 진행되는 2018 가스 코리아 행사에 한국에스리가 참여합니다. 이번 행사 기간 동안 한국에스리는 올해 새롭게 출시된 Utility Network Management 신기술과 WebGIS 플랫폼의 활용 가치에 대해 소개할 예정입니다. 관심이 있으신 분들은 하기 링크를 통해 무료로 사전 등록을 신청하시길 바랍니다.